April 28, 1992 – Dec. 14, 2017. 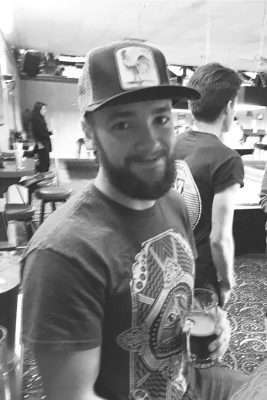 Kevin Anthony Mayo, age 25, of Ashland, Oregon died Dec. 14, 2017 as a result of injuries sustained when he was struck on his motorcycle. Kevin was born April 28, 1992 at Mather AFB Hospital, California. Kevin is survived by his mother, Debbie Mayo; his father and second mother, Christopher and Kismet Mayo; sisters, Sarah and Monique Mayo; brothers, Christopher Mayo and Dylan Jobe; nephew, Kamden Kelley; and many aunts, uncles, cousins and grandparents. Kevin had many accomplishments in his short life. After completing high school, he enlisted in the United States Army, trained at the Defense Language Institute in Monterey, California as a linguist in Farsi, Pashto, Dari and Arabic. Following his military service, Kevin finished his education at Bates College in Tacoma, Washington, in the pursuit of his denturist license, then interned under his step-mother, Kismet Mayo. Kevin achieved this goal, becoming a licensed denturist. Most recently, Kevin and his brother Chris, who was his best friend, opened what was to be their first denturist practice. Funeral arrangements are being handled by the Redwood Memorial Chapel in Brookings, Oregon. The service was held at 3 p.m. Saturday, Dec. 23 at Living Waters Foursquare Church, 1136 Fifield St., Brookings, OR, 97415. For those unable to attend, the service was live streamed on Christopher Mayo’s Facebook page. Following the service, please join our family as we gather at the Catalyst Restaurant to celebrate Kevin’s life and accomplishments: 16182 Lower Harbor Rd., Brookings, OR, 97415. In lieu of flowers, donations can be made to the trust set up at Rogue Federal Credit Union under his brother, Christopher Scott Mayo, in honor of Kevin’s memory and continuing his legacy of Mayo Denture Center. Condolences may be expressed online at redwoodmemorial.net. 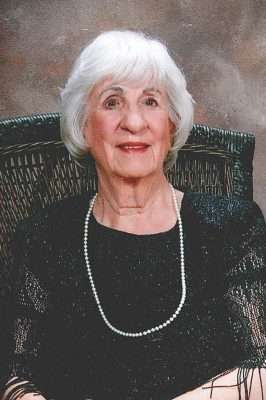 A Celebration of Ruth Lippert Merriner’s life will be held at a memorial service next month for this distinguished entrepreneur, volunteer and outstanding philanthropist. Ruth was born on March 31, 1922, in Pittsburg, Pennsylvania, and passed away in her home peacefully on Dec. 12, 2017. Preceded in death (2001) by husband of 59 years, Delbert Lamont Merriner. Survived by children, Audrey Lee, Patti Merriner, Rich Merriner and Wayne Andrus-Merriner, as well as 18 grandchildren, eleven great grandchildren and four great great grandchildren. Ruth and Del moved their home and business, Richdel, Inc., to Carson City including 12 other families in 1970. Richdel manufactured irrigation valves and controllers, bringing with them the potential to eventually employ 500 local residents. 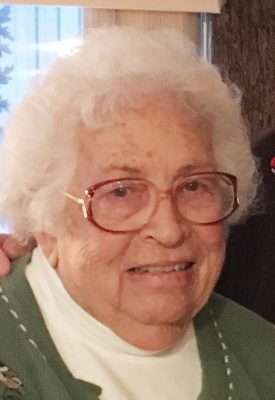 Ruth made many contributions to the community as a life-long member of the Soroptimist Club, as well as Woman of the Year for that organization. Ruth also fulfilled the couple’s desire to contribute to the community and health care in particular with building The Merriner Cottages in 2006 as an adjunct to the services at Carson Tahoe Regional Healthcare. In addition, she was a member of the Auxilliary and winner of the title Woman of the Year for that same institution. Finally, Ruth continued to give and be part of the Carson City fabric, which resulted in the award of “Entrepreneur of the Year” in 2009 by the Healthcare Heroes of Nevada Business Magazine. Memorial donations may be made to The Merriner Cottages in care of Carson Tahoe Regional Healthcare. Family and friends are invited to the Memorial Service next month for Ruth Merriner at Fountainhead Four Square Church, 3609 US Highway 395 South, Carson City, Nevada, 89705, at 1 p.m. Jan. 20, 2018. Services will be presided over by Pastor Louie Locke and open to the public. Donna Gay Perez passed away peacefully surrounded by family on Dec. 2, 2017, in Sparks, Nevada. She was born on July 21, 1928 on her family ranch in Standish, California to Thomas and Claudine Hill. Donna worked as the General Postmistress in Wendel, California in the late 1950s. She continued as a Federal Civil Servant employee at Sierra Army Depot in Herlong, California and transferred to Corpus Christi, Texas. She returned to Sierra Army Depot where she retired in 1988. 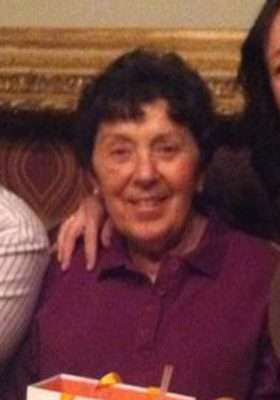 Donna was a loving wife, mother, grandmother and great-grandmother. She was proceeded in death by her husband, Herman Perez. Donna is survived by her sister, Jean Rupert (Pete); her son, Jim Perez (Cheryl); her daughter, Janice Whittaker (Scott); seven grandchildren and 16 great grandchildren. Elaine Darden (`nee LaClair) died on Dec. 18, 2017 in Elk Grove, California following a stroke. She was 82. Elaine was born on April 5, 1935 in Oregon to her parents, Lillian and Joseph LaClair. She married Harold Clark in 1953. She graduated from Oregon State University with a degree in elementary education. The Clarks moved to Susanville in 1965 where they started their business Clark Construction Corporation. After Harold’s death in 1968, Elaine began to teach at Shaffer Elementary School where she remained until she retired after 34 years. She married Robert Darden in 1970 and moved to Litchfield where she lived for 40 years. Elaine is survived by her son and daughter-in-law, Michael and Judy Clark, of Media, Pennsylvania; her daughter, Lisa Edwards of Elk Grove, California; her sister, Lois Johnson; her brothers-in-law, Jasper and Sam Clark; and nine grandchildren. She is preceded in death by her husbands, Harold Clark and Robert O. Darden; and her sons, Jeff Clark and Robert A. Darden. Elaine’s funeral Mass will be held at 11 a.m. Jan. 8, 2018 at Sacred Heart Catholic Parish followed by a burial at Diamond Crest Cemetery. All are welcome to attend. In lieu of flowers, please make donations payable to Enloe Foundation, Cardiovascular Care Center in Memory of Elaine Darden. Donations can be mailed to 249 West 6th Ave., Chico CA 95926. A wonderful caring teacher to all three of my children, she designated out oldest, Bill, as “Billy Perfect,” a nickname we have always loved and teased Bill about. She suffered too many losses in this life, we pray she is enjoying the sweet reunions she’s having now. Thank you for teaching our children the basics of school and the foundations for becoming good citizens.